"It's a shark that's a ghost. Need anything else?" A lot of people avoid reviewing "Syfy Original" movies, and after watching "Ghost Shark", I can see why. Not only is this one not a patch on "Sharknado", but it doesn't even try to be anything better. 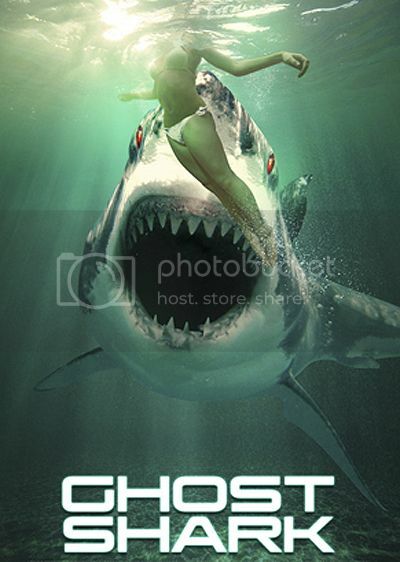 "Ghost Shark" is just a lazy piece of made-for-TV filmmaking with no redeeming qualities other than the silliness of its premise and several blatant homages to "Jaws". Knowing that there's nobody in "Ghost Shark" who I've ever heard of apart from morbidly obese Shawn C. Phillips (aka "Coolduder" from YouTube) should have been my warning not to proceed any further once the "good stuff" in the opening five-minute scene was over, but I foolishly left it playing for company as I clipped my toenails and arranged them in jars. It has to be done, and I came to the conclusion a long time ago that this is the best use for Syfy channel movies anyway. As expected, the acting in "Ghost Shark" is all over the place, from feeble to mediocre, and the youngest-looking girl mumbles her lines so badly that the movie would benefit from subtitles. For obvious reasons including the budget and casting choices, it looks and feels like a glorified YouTube video, albeit one filmed with high-end equipment. 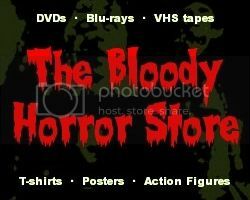 The cheap gore effects and CGI are the only things which are somewhat entertaining in spite of themselves, but this isn't an intentionally made to be "so bad it's good" movie, it's just plain bad. As usual, there are no characters to care about, the clichéd "teenagers" (several of whom are pushing 30 in real life!) are annoyingly entitled and selfish, and the adults aren't any better. The story is so rushed that none of them are given any time to grieve over their best friends or relatives who've been eaten by the ghost shark, but I doubt that they'd even know how to display those emotions if they were given the chance to. You're going to need a bigger shed! 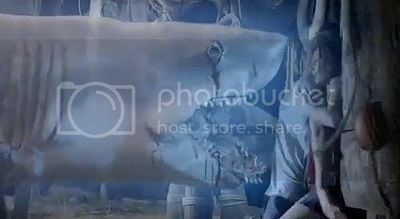 The scenes with the ghost shark go from mildly credible (considering the nature of the story) to ludicrous as this Great White doesn't remain in the sea. Taking things several steps too far, our piscine villain pops up in a freshwater swimming pool, comes out of burst pipes, and even leaps out of the rain! Yes, "Ghost Shark" really does exploit the term "jumping the shark" quite literally, which I suppose is kind of the point. I'm not sure who the target audience is for this crap, but it certainly isn't me. Although I admit to being out of touch with "kids today" and what passes for entertainment in their ADHD world, I don't understand why or how these Syfy movies keep getting made for the two or three hundred people who watch them. I don't think I'll be watching any more.